You can dance!!! Julian Adair can create exciting work for your project, musical or dance experience. Dance can be incorporated in so many ways and works with nearly any curriculum to make an experience your students will enjoy and remember. 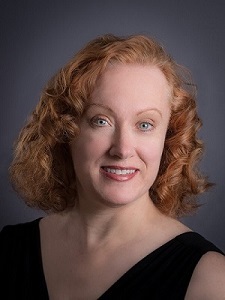 If you would like her to choreograph your musical, work with music, theater or movement groups or develop a residency around a theme or project for your school or organization, she has the expertise, experience and drive to make your experience a positive and expansive one. Julian can introduce and develop dance skills, technique, composition, improv, in a multitude of styles, modern, musical theater, ballet, contemporary and create a project dancers, educators and organizations are excited about. Projects can be very simple to very elaborate, and will make the most of your ideas and resources. Returning to the AiS/C program after a hiatus while performing and choreographing professionally, Julian is delighted to be back and looks forward to working with your school or non-profit. She holds a B.F.A. from Creighton University, and has performed, taught and choreographed professionally throughout the Midwest. Julian is a two time recipient of the Theater Arts Guild Outstanding Achievement in Choreography Award and the Omaha Arts and Entertainment Award Outstanding Choreographer Award. She is the founder of Adair Dance Academy Inc., and is the Artistic Director of Ever After Productions, annually producing the holiday favorite "Nutcracker Delights" since 2007, which she wrote and published the book by the same title. Advice to a Dancer was her first book, featuring her poetry and dance photography. Creative residency ideas pertaining to dance can also connect with creative writing and photography mediums.